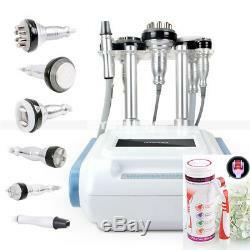 YH-6507 [mychway] - Roller Vacuum Unoisetion 3D Smart RF Cavitation 40K Face Vacuum Slim Weight Loss. 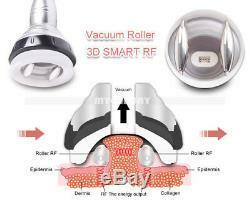 Roller Vacuum Face Vacuum Unoisetion 3D Smart RF 40K Caviation Weight Loss Slimming Machine. 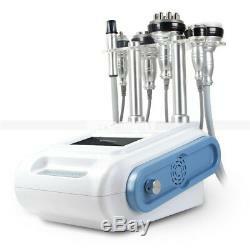 Roller Vacuum Unoisetion 3D Smart RF Cavitation 40K Face Vacuum Slim Weight Loss. Roller Vacuum Unoisetion 3D Smart RF Cavitation 40K Face Vacuum Slim Weight Loss Skin Lifting Device. 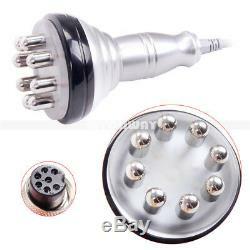 Roller Vacuum RF Probe For body Slimming. 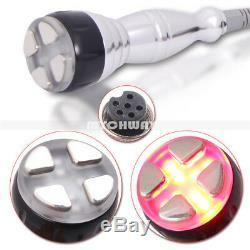 Vacuum RF Face For face , V FACE SHAPPING and Lifting. 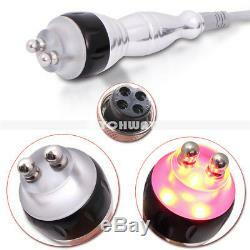 Unoisetion Cavitation2.0 Probe For Slimming. Also we stock the USA, UK, AU, EU plug to suit for the country all over the world. 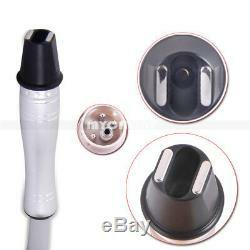 Note:Roller With Vacuum , will be add the smoothly and Shaping body in good condition. I Unoisetion Caviation 2.0 40K: Unoisetion Cavitation 2.0 is offering a new operation which we believe can potentially replace traditional cavitation. Unoisetion customers can get results they are satisfied with, without having to undertake buzzing and noise in ears Benefits can include: A. DIGITIZATION CALIBRATION unoisetion utilizes the intelligent calibration technology what means it can adjust the frequency during whole operation and calibratethe error of frequency by itself to make the output frequency keep the same frequency as before, in this way, the unoisetion cavitationwill make the result of body shape more effective(3 times as long as normal cavitation) and the handles lifetime will be 10 times more than normal cavitation II3D Smart Radio Frequency The use of bipolar SMART RF(radio frequency) with an associated vacuum device allows for precise deep dermal heating of the collagen followed by collagen remodeling. It has been successfully used in clinical trials for the operation of rhytides and skin laxity. The heat generated by passing RF energy through the skin shrinks dermal collagen and promotes the formation of new collagen. The vacuum suction element confines the heating effect between two RF operation electrodes for greater specificity. The operation head is connected to a vacuum pump that draws the skin between two parallel sets of electrodes located in the tip. 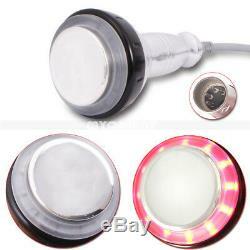 High frequency electrical (SMART RF) current is passed through the skin. A flat surface delivers current more efficiently, so suction induced skin deformation provides an effective contact. As such, the SMART RF operation depends somewhat on the thickness and coarseness of the skin in the target area. This mechanism induces mechanical stress on fibroblasts, leading to collagenesis and possibly a more dramatic improvement of the acne scar. Features: 1 Discomfort during operation was minimal and adverse effects were limited to mild and temporary erythema. 2 The bipolar SMART RF with vacuum devices appears to be a safe and effective method for reducing mild to moderate facial acne scars. 3 The technology that vacuum folds skin makes SMART RF energy penetrate a specific folded skin, greatly improve effect and safety, even for the upper eyelid area operation. 4 The synergistic combination of mechanical stress and conducted SMART RF energies increase the oxygen intracellular diffusion by heating the s kin result in refresh skin 5 Vacuum leads SMART RF penetration to be even 5-15 mm. 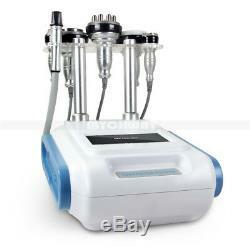 At the same time, Vacuum mechanical tissue manipulation nips and stretches fibrillar connective tissue, effectively breaks down subcutaneous fat as well as extruded capillary vessel, Increase lymphatic drainage, promotes metabolism and reduces or shrinks the size of the actual fat chamber and greatly improved body contouring effect. Power supply Input:100V-240V Power :<=190W Uoisetion 40K cavitation Head: Frequency:40KHz Power:30W Roller Vacuum with Bipolar 3D Smart RF for body w/Photon Freqeuncy:1MHz Power:50W Vacuum: <-80kPa Pressure: >250kPa Air flow: >10L/minute Noise level: <70dB (30cm away) Octupole 3D SMART RF for body Power supply output:66V Freqeuncy:3MHz Power:30W Quadrupole 3D Smart RF w/Photon for face Freqeuncy:1MHz Power:30W Bipolar 3D SMART RF w/ vacuum for face&eyes Freqeuncy:1MHz Power:10W Vacuum: <-80kPa Pressure: >250kPa Air flow: >10L/minute Noise level: <70dB (30cm away) 3D Smart Bipolar RF w/Photon for eye area Freqeuncy:1MHz Power:10W. The item "6in1 Cavitation Radio Frequency RF Vacuum Slimming Cellulite Ultrasonic Machine" is in sale since Monday, November 23, 2015. 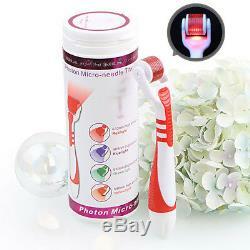 This item is in the category "Health & Beauty\Other Health & Beauty". The seller is "mychway_uk" and is located in CN. This item can be shipped worldwide.